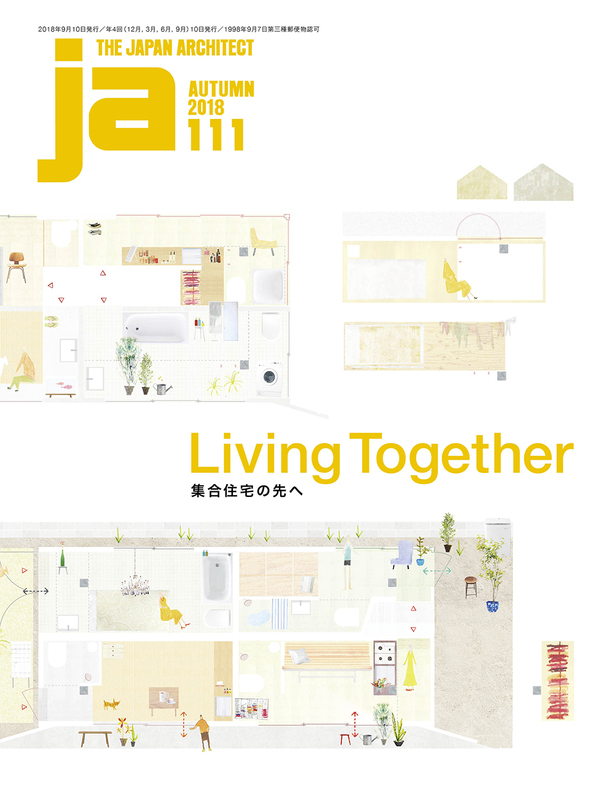 JA111 is devoted to thinking on the future of collective housing.Today, our lifestyles are diversifying. We’ve started living in multiple locations and working remotely. Our ways of living and working are also changing. The character of collective housing, which tends to reflect society, may also be entering a period of change.This issue presents 18 projects that explore present-day meanings of “collectivity” and “living.”Although the projects featured here are not limited to collective housing — among them are a capsule hotel, college dormitory, shared house, and plaza renovation for a large housing complex — all projects address possibilities for living and gathering that arise when constructing spaces and programs. By adopting a bird’s-eye view of architecture focused on living, yet remaining impartial in regard to function and use, this issue attempts to raise the basic question of what collective housing will be like in the future. In these pages, we hope to investigate forms that will support living together.